The itchy, uncomfortable feeling and unsightly flakes that come with dandruff get old fast. Conventional treatments like shampoos, steroids and coal tar can help, but they’re far from natural or safe. Natural shampoos are hard to find and the few decent options are really expensive. These natural dandruff remedies use effective ingredients like apple cider vinegar and anti-fungal essential oils for a way to control it naturally. What Is Dandruff and What Causes It? To really understand how dandruff remedies work, it helps to know what causes it in the first place. About 50% of people have it, so the issue is widespread. Environmental exposures, food choices, and genetics all play a role. There’s also evidence to show that gut microbiome dysfunction plays a role in dandruff production. Dandruff is typically an overgrowth of the fungus malassezia on the scalp, and it can also be caused by dry skin. It involves shedding of excessive amounts of skin flakes. Seborrheic dermatitis is a type of dandruff where the flakes are greasy and white or yellow, with a red, irritated scalp. In theory, stopping the fungus can help resolve the problem. Traditional dandruff shampoos often include harsh chemicals designed to fight fungus. Thankfully, there are natural options that work well without the dangers. Since dandruff is caused by microbes and dry scalp, anti-fungal agents and moisturizers both help. Whatever remedies are used, consistency is key. 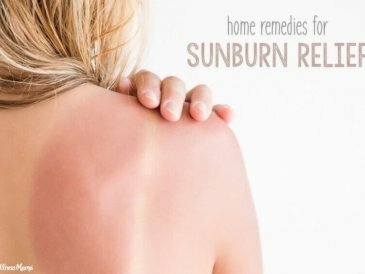 Improvements can be seen after the first use, but these natural remedies need to be used long term for best results. Most studies have shown the most success when used for three to six months (or longer). Raw honey is a nutritional powerhouse with its proteins, amino acids, vitamins, enzymes, and minerals. Honey has been used as food and medicine since the earliest civilizations. Raw honey is emollient, humectant, healing, antimicrobial, and soothing to the scalp, while conditioning the hair. This sticky sweet substance also helps prevent pathogen infections and keeps the microbes that cause dandruff in check. Since honey is so thick and sticky on its own, it needs to be diluted before use. Combine 1-2 TBSP of honey (I use this unfiltered organic and raw honey) with 2/3 cup of warm water and stir to dissolve. Rinse hair with the honey mixture and use the fingers to work it through the hair and over the scalp. 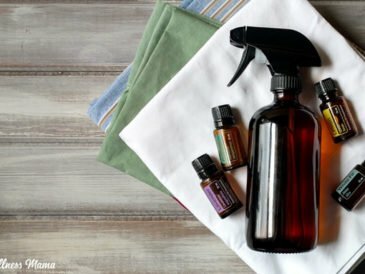 We all know that essential oils can be used for many natural remedies, and this is no exception! 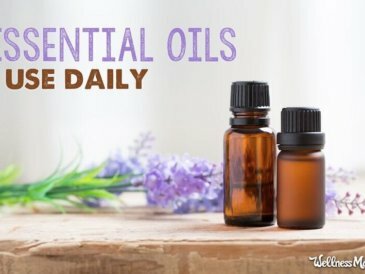 I like to order organic essential oils from here and often order bulk bottles so I have them to use in recipes. Tea Tree oil has long been used for scalp and skin conditions because of its potent cleansing and anti-fungal properties. One 2011 study found that tea tree essential oil was effective against all of the dandruff-causing malassezia species tested. Not much was needed either for visible results. Researchers found that just a .25% dilution of tea tree inhibited the fungi that can cause dandruff. For practical purposes, this would be about 6 drops of essential oil to every ½ cup of carrier. Like tea tree, lemongrass has anti-fungal properties. This study out of Thailand tested how lemongrass essential oil shampoo performed against the malasezzia furfur fungal strain. Researchers settled on a 2% dilution to inhibit the fungus, however another study of 30 participants found that a solution of 10% was most effective against dandruff. 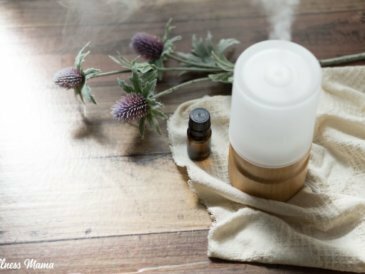 A 2016 study evaluated 9 different essential oils to see how they performed against a variety of micro-organisms. Frankincense essential oil beat out the rest and inhibited the candida, malasezzia, and even staph biofilms. Some researchers believe that staph bacteria overgrowth can also play a big role in dandruff. Frankincense is very soothing and calming, making it perfect for an irritated scalp. Since essential oils are highly concentrated, always dilute before use. There are many different ways to incorporate them into dandruff remedies, so I’ve included multiple options below. Add the essential oils of choice to some raw honey and stir well to combine. Then dilute with warm water and use as a hair rinse per the instructions earlier in this article. Raw honey isn’t a fat, but as a sugar it will also adequately disperse the essential oils. Add the essential oils of choice to a carrier oil, like sweet almond or grapeseed oil, and then apply to the scalp. Part the hair then apply some oil to the scalp. Then part it again about ½ inch over and repeat until the entire scalp is covered. Add a few drops of the essential oils to your shampoo or conditioner and wash as usual. Allow the mixture to sit on the scalp for about 5 minutes before rinsing out. A study in Hungary found that probiotics reduced the overall symptoms of dandruff by 57%. The strains used helped to regulate the skin’s immune function and reduced scalp itching and greasiness. Over time, the malassezia yeast counts declined, as did the irritation and redness. Consume fermented and probiotic rich foods daily. Kombucha, fermented vegetables, sauerkraut, water kefir, milk kefir and yogurt are all good options. 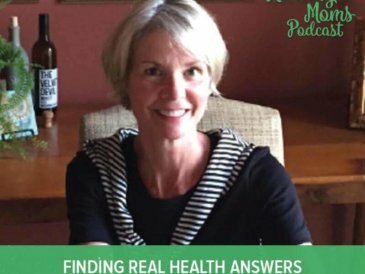 Those with autoimmune conditions may find that dairy aggravates the issue further. Taking a high quality probiotic supplement can also be helpful. Apple cider vinegar has many uses and is often touted as the natural, magical cure-all. 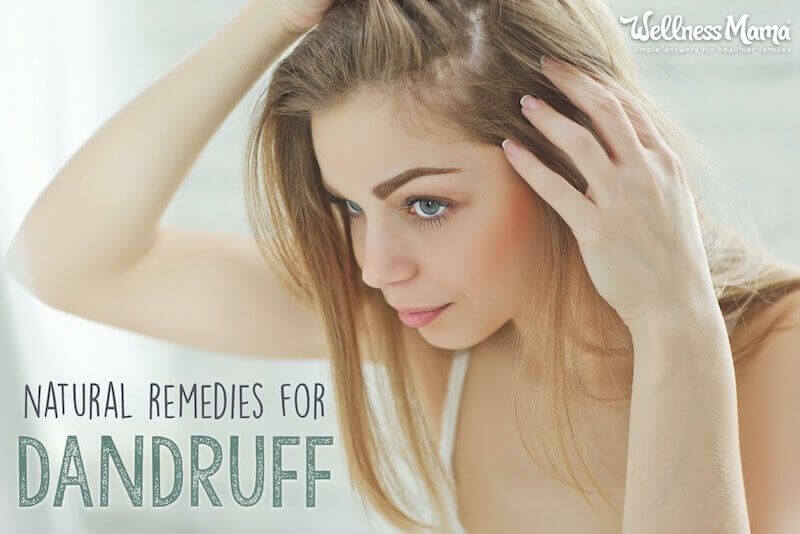 While it can’t quite do everything, it is one of the best natural dandruff remedies. Apple cider vinegar contains malic acid to naturally slough off excess skin cells. The acidic pH also helps to close hair cuticles on the scalp. And vinegar’s acetic acid attacks the yeast and bacteria that can cause dandruff. Preferably raw apple cider vinegar that still contains “the mother” should be used. Since vinegar can be harsh on the scalp, it should be diluted before use. Combine 1 part water with 1 part apple cider vinegar and use it as a hair rinse. This mixture can be left in the hair after washing, or it can be rinsed out after 1-2 hours. Infuse vinegar with nourishing and anti-microbial herbs like rosemary, Pau d’Arco, and oregano for an extra punch of dandruff-fighting power. To infuse the vinegar, add 1/4 cup of the desired herbs to a pint-size glass jar, then fill the rest with vinegar. Store in a cool dark place, shaking every day for 2-4 weeks. Strain out the herbs, then dilute with water before using as a hair rinse. Do you struggle with dandruff or know someone who does? Which dandruff remedies have you found to ease the symptoms?